Build Like A Boss: It's all in the Details. Those are all terms you're bound to have heard a lot of being in the AFOL community. You may ask though, what is a greeble? 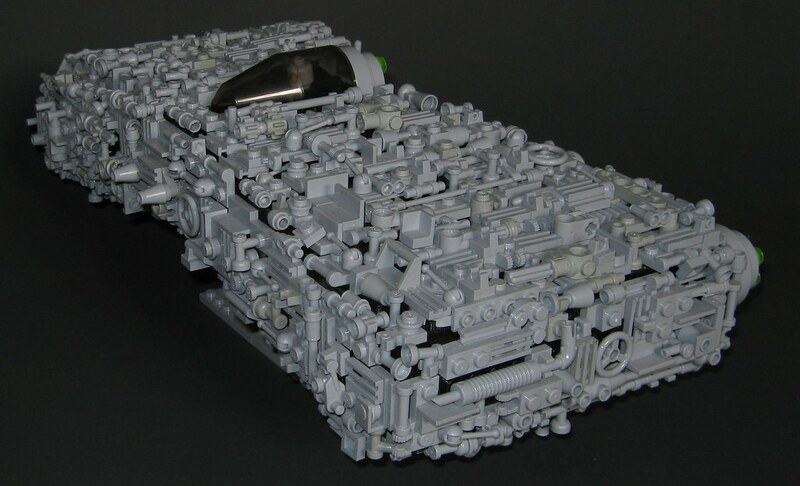 According to our good friend Mr. Wikipedia, the definition of a greeble is this. A greeble is fine detailing added to the surface of a larger object that makes it appear more complex, and therefore more visually interesting. So when should you use a greeble rather than a smooth surface? It's all personal choice of course, but I find that greebles are excellent when simulating parts on a MOC that are supposed to be mechanical by design. For me, building a MOC that's covered entirely in greebles, while looking extremely cool, is somewhat unbelievable for MOCs that are supposed to be something from the near/distant future. An example of excellent (but overdone and unbelievable) mechanical greebling is the aptly named Greebleship by Brickbuilder. In this application, it works very well, as this ship is obviously totally sci-fi, with no basis in fact or reality. Moving onto our next example, which is on the entire other end of the spectrum. This ship by Marshal Banana is sleek, shiny, and hardly has any greebles. That being said, it does have SOME greebs, which accentuate the sleek curves and angles of the ship perfectly. 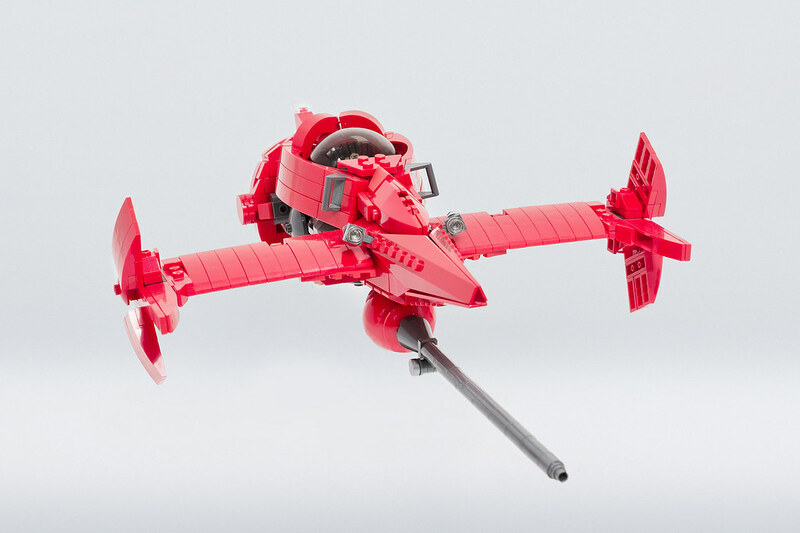 The greebs aren't overdone, but they create a unified MOC that's extremely plausible to be seen coming out of say, Boeing's test runways in the near future. So what your stance on greeblies? The more the better? Or are they something that's better in small quantities at the right time? It's all About the BURPs. Ma.K Like a Boss Contest Winners!